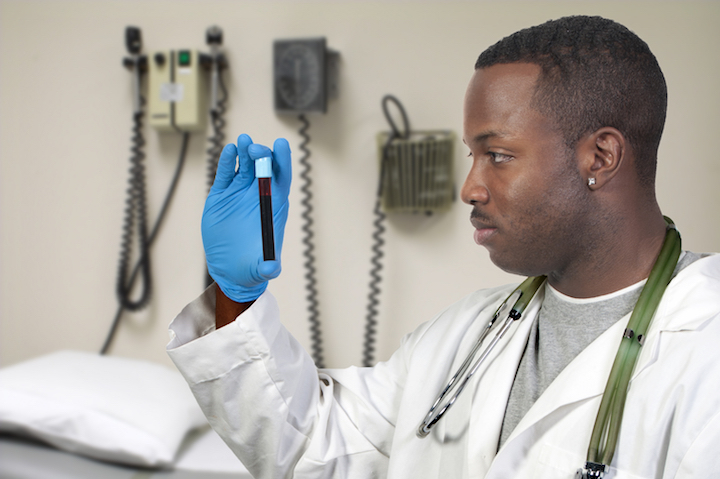 The Phlebotomy Technician program is designed to prepare students for employment in a hospital laboratory, blood center, or other health care facility to draw blood by venipuncture and capillary puncture. Students are taught safe and efficient work practices in obtaining adequate and correct blood specimens, labeling specimens, and transporting specimens correctly to the appropriate laboratory sections.The Center for Disease Control (CDC) guidelines for HIV/AIDS, Hepatitis B and other diseases are stressed. This is a Career Technical Certificate program. The Medical Campus Medical Phlebotomy Program is a Career Technical Education Certificate program that is a one to two semester course of study requiring 5.5 CTE credits (165 contact hours). Courses are offered in the evening and begin in August, January and May on the Medical Campus. The Phlebotomy Program provides learning experiences that enable the student to acquire and assimilate the necessary skills to function effectively as a supportive health care provider. This program is highly demanding, and students are therefore more successful if they do not work while in the program. If students must work for financial support, the program strongly recommends a limit of 20 hours of employment per week. Students should also consider family responsibilities before committing to a full-time accelerated program.